Independent survey shows franchise owners are highly satisfied with franchisor performance. COLORADO SPRINGS, Colo. – January 28, 2019 – Miracle Method Surface Refinishing, the nation’s largest professional bathroom and kitchen refinishing franchise, has been listed by Franchise Business Review as one of the Best Franchise Opportunities for 2019. 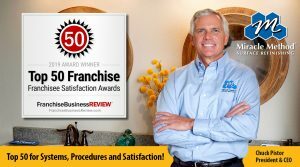 Each year, Franchise Business Review, a franchise market research firm, selects 200 franchises that represent the best opportunities for prospective franchise owners to invest in. Approximately 30,000 franchise owners representing 310 franchise brands were independently surveyed about their satisfaction for this year’s top franchise list. “Being on this list is a tremendous honor for us and shows me that we’re supporting our franchise owners through effective training, positive operational support and open communication allowing our franchise owners to be in business for themselves, but not by themselves.” CEO Chuck Pistor said. 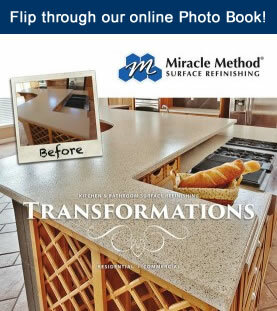 With 40 years of experience, Miracle Method is the fastest growing kitchen and bathroom surface refinishing company in the industry. The company has shown a 73 percent sales increase over the last six years, and specializes in ceramic tile, bathtubs and surrounds, showers, countertops, and vanities and sinks. Earlier this year, Entrepreneur magazine ranked Miracle Method No. 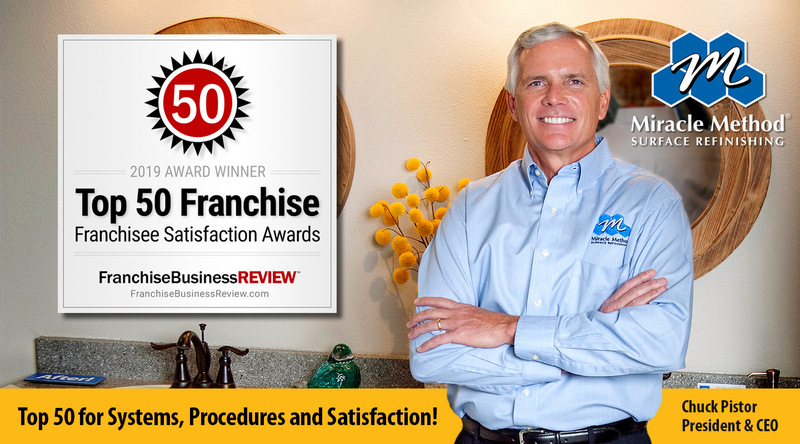 1 in its category on the Entrepreneur Franchise 500® list. As an active member and participant of the International Franchise Association’s Vet Fran program, Miracle Method has also been named to Franchise Business Review’s Top 100 Franchise list for Veterans & Franchising in 2017.